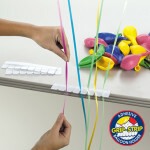 Deliver an Uninterrupted Supply of Helium to Your Balloon Counter! Conwin’s Remote Helium Systems enables two helium supply cylinders to be safely and conveniently located in a back room, basement, etc. 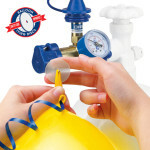 A continuous high pressure hose connects the two supply cylinders to the balloon production area. 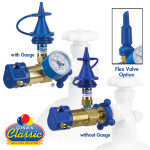 When one cylinder is out of helium, simply turn the Cylinder Switch-Over Valve to change to the backup cylinder. Eliminates the need of having workers move heavy cylinders around customers. 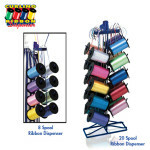 Cylinders are out of customer’s sight, providing a clean and professional appearance. Your staff will love it! 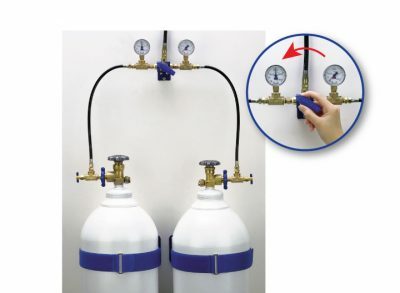 Attach two cylinders to the Switch Over Control Unit. 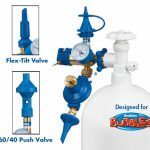 When one cylinder runs out of helium, simply turn the Cylinder Switch-Over Valve to change to the backup cylinder. 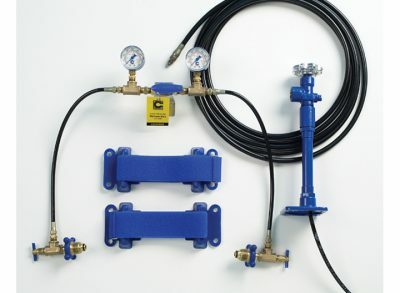 Contact Conwin for pricing on custom hose lengths for Remote Helium Systems. 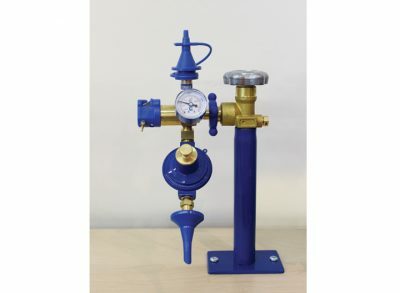 Have a question about this product, or simply looking for troubleshooting tips? Visit our Service & Support center for more information.